Contains the story 'Nightflyers', now a new Netflix series. Nine scientists board the Nightflyer, prepared for the voyage into deep space and to make contact with a mysterious alien race. New horizons await them at their journey's end, new knowledge, new understanding. Except all is not as it seems upon the enigmatic Nightflyer. Far from the aliens, isolation, or outer space, it may well be the greatest challenge to their mission is the ship itself . . .
George R.R. Martin is one of the most exciting storytellers of our time, a stylish, elegant writer who combines riveting plots with superb characterisation. He writes with equal verve and fervour about werewolves as he does spaceships, wizards and vampires, and he has won virtually every award in the fields of fantasy literature. His epic ongoing saga A Song of Ice and Fire has redefined fantasy for a whole new generation, and won him a vast, devoted audience. 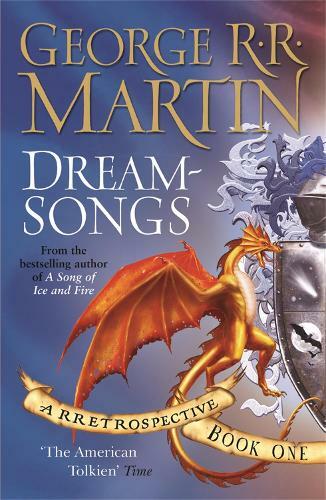 Dreamsongs is a treasure chest of stories, indispensable volumes not just for all George R.R. Martin fans, but essential reading for any reader of fantastic literature.